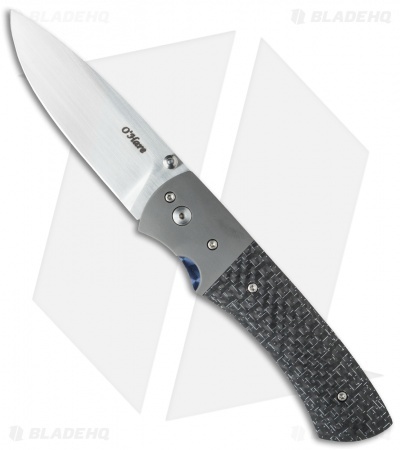 Use of premium materials combined with fine craftsmanship is what makes this Orion folder a special knife. 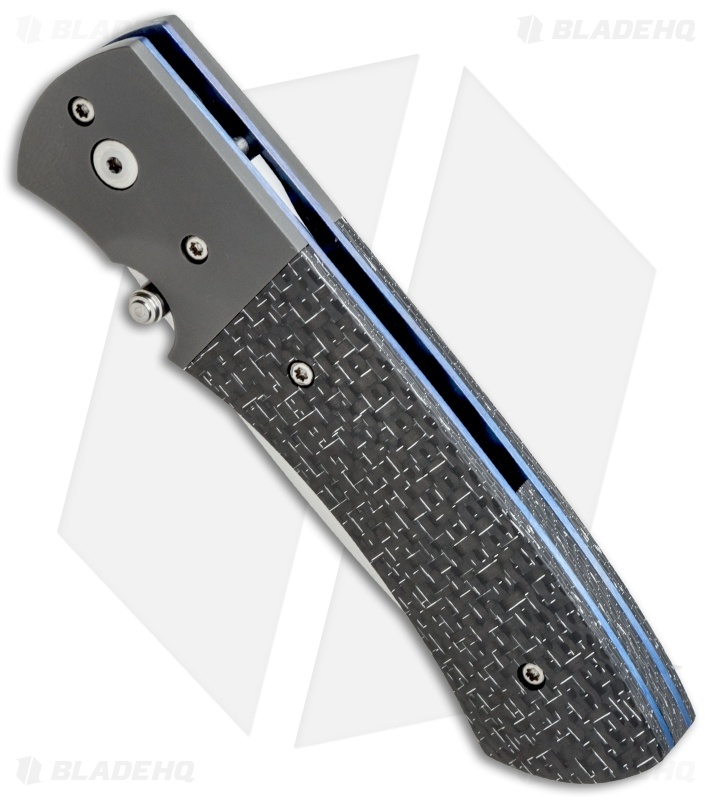 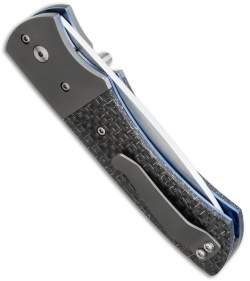 It has a blue anodized titanium liner lock handle with silver lightning strike carbon fiber scales and bead blasted titanium bolsters and tip-up pocket clip. The drop point blade is hand satin finished and sports a thumb stud.